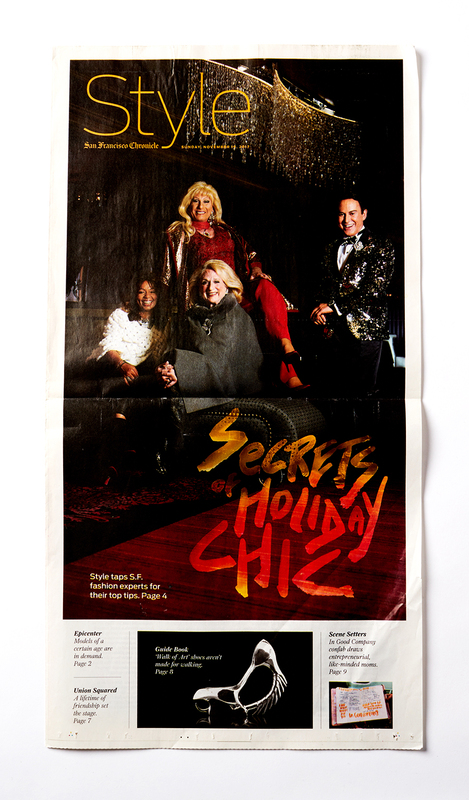 ‘Secrets of Holiday Chic’ was a package from the San Francisco Chronicle’s Style section, which discussed “what’s in” for the holidays. The fashion round-table featured four panelists: drag icon Donna Sachet, personal stylist Sheree Chambers, muse Sally Debenham and luxury realtor Joel Goodrich. 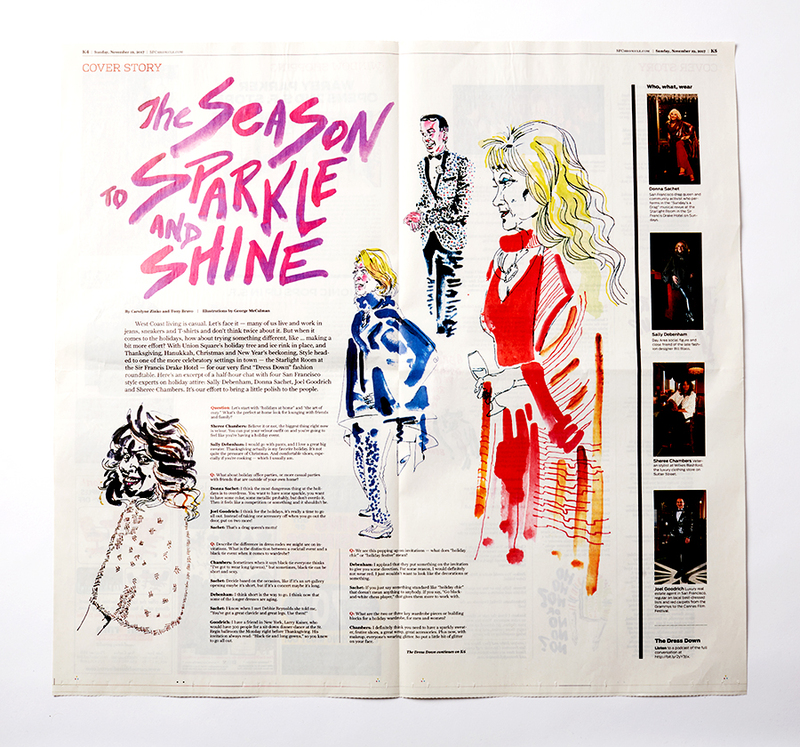 I painted the headlines, portraits, and vignettes throughout the entire feature. In conclusion, I learned: velour is back, Chanel is timeless, Cosby Sweaters will forever be a giant ‘no’, and if your house catches on fire at a holiday party you’re hosting, don’t forget to grab your champagne while you’re running out the door.